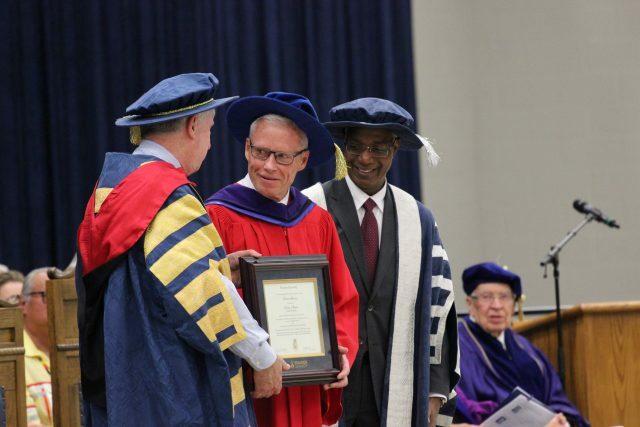 Andy Murray, centre, receives his honorary degree from Brandon University Chancellor Michael Decter, left, while President and Vice-Chancellor Dr. Gervan Fearon looks on. BRANDON, Man. 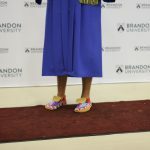 – The efforts and accomplishments of exceptional students and educators were recognized as part of the Brandon University (BU) 2017 Spring Convocation ceremonies on Friday, May 26. Over the course of two ceremonies, 520 graduates received their degrees on Friday. 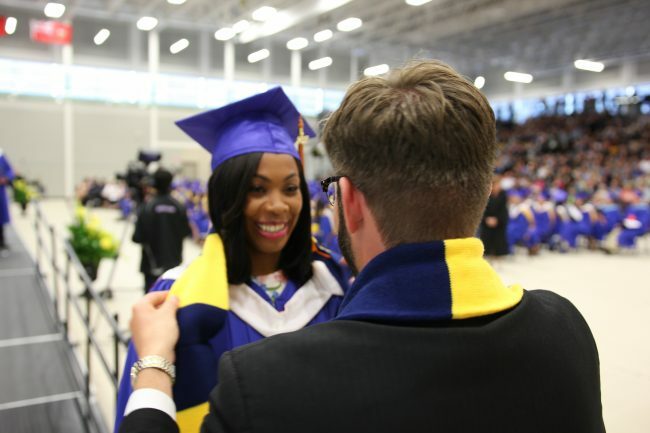 Each graduate in attendance was also presented with a scarf by the Brandon University Alumni Association (BUAA). Degrees in the Faculties of Health Studies and Science were conferred in the morning ceremony. Degrees in Arts, Education and Music were conferred in the afternoon. 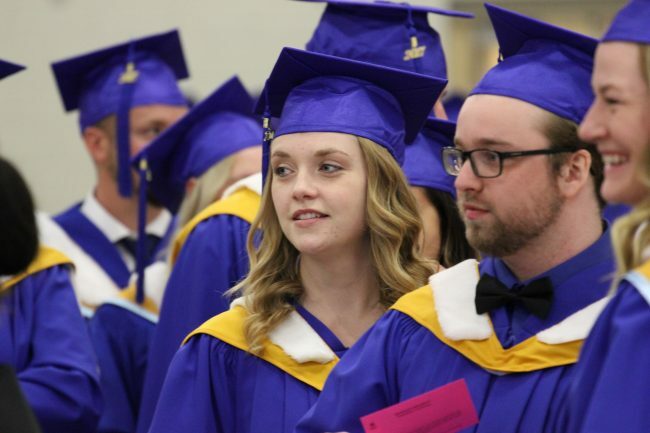 A video archive of the two events can be seen at BrandonU.ca/Convocation. Honorary degree recipient Andy Murray encouraged the graduates to measure their success each day by the number of smiles and to make each day better than the last. The title of President Emeritus was bestowed on Dr. Dennis Anderson, who served as President and Vice-Chancellor of BU from 1990 to 2000. 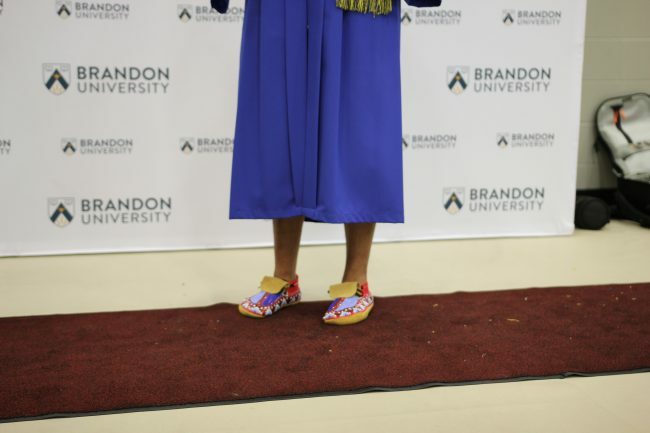 He was also the recipient of a Star Blanket for his contributions to Indigenous education at Brandon University. Murray and Dr. Anderson are also both BU alumni. 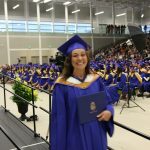 Alicia DeDecker was awarded the Governor General’s Gold Medal as the graduate student with the highest standing in a Master’s program. 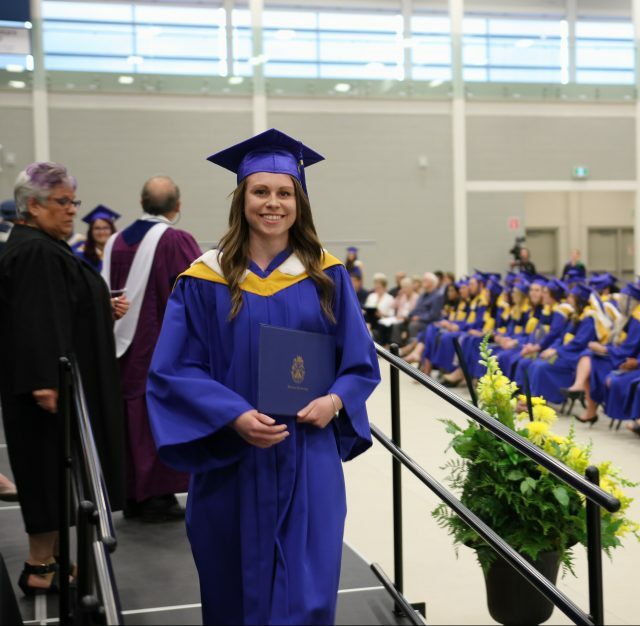 DeDecker also received the Brandon University Gold Medal for achieving the highest standing in the Master of Education program. 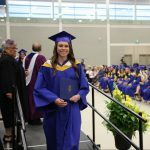 Carrie Bergen received the Governor General’s Silver Medal, awarded to the undergraduate who achieves the highest academic standing in a Bachlor’s degree program. 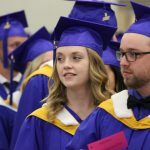 Bergen was also the recipient of the Brandon University Gold Medal for the Bachelor of Science (4-Year Honours) program. Tara VanCauwenberghe was the recipient of the Lieutenant-Governor’s Gold Medal as the undergraduate to achieve the highest academic standing, excluding the faculty or school already represented by the Governor General’s Silver Medal. 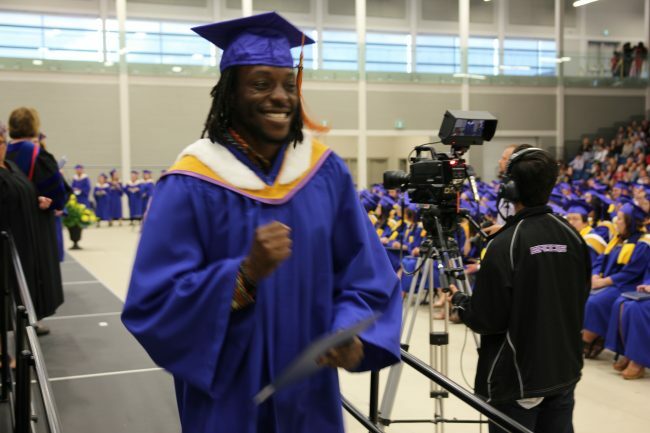 Along with that distinction, VanCauwenberghe received the Brandon University Gold Medal for the Bachelor of Physical Education program. Department of Psychology Assistant Professor Dr. Nicholas Watier was presented with the Brandon University Alumni Association Award for Excellence in Teaching. Dr. Watier’s students credit him for his positivity, enthusiasm, knowledge and expertise, as well as his respect for his students. Distinguished Teacher Awards were presented to three recipients: Melanie Gamache, Erin Green and William Lamont. Gamache, who graduated from BU with a Bachelor of Education in 2005. 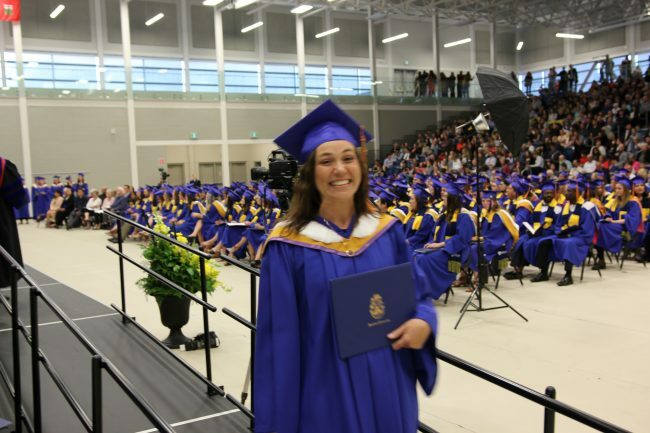 She now teaches English at Dauphin Regional Comprehensive Secondary School. 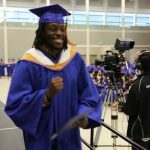 Green has completed a Bachelor of Education and General Studies concurrent degree (in 2004) as well as a Master of Education (2010) from BU, and is currently a Grade 7 teacher at Carberry Collegiate. Lamont teaches at Elton Collegiate in Forrest, Man. He earned Bachelor of Science (1989) and Bachelor of Education (1992) degrees at BU. 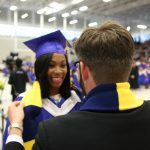 Lamont shared the special day with his daughter, Ellen, who graduated with a Bachelor of Arts on Friday.